Mark your calendars for Saturday, March 2nd! The event will be at Gloria Dei again this year and the theme is Mount Olive Madness! 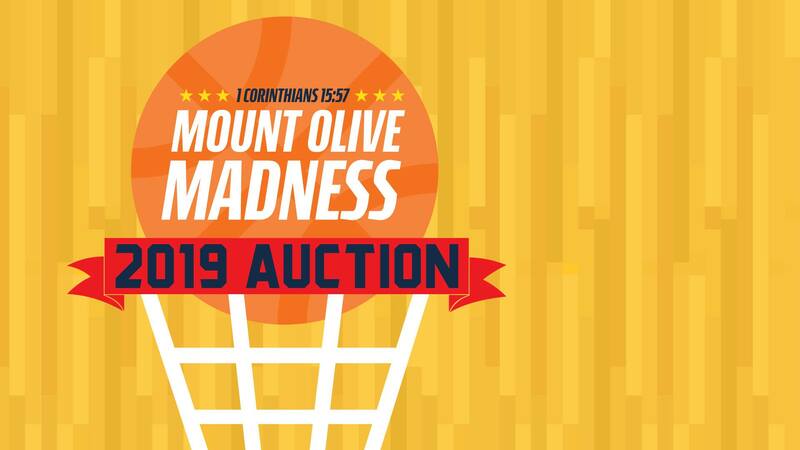 This year's Auction, Mount Olive MADNESS, will bring out the competitor in all of us. Compete against others in your bids for the best items in our live and silent auctions, buy a spot in the bracket challenge for your chance to win $1000 cash (or put it towards next year's tuition), and bring cash to join your TEAM (table) in competing for a chance to raise the most money and head to the dessert table first.